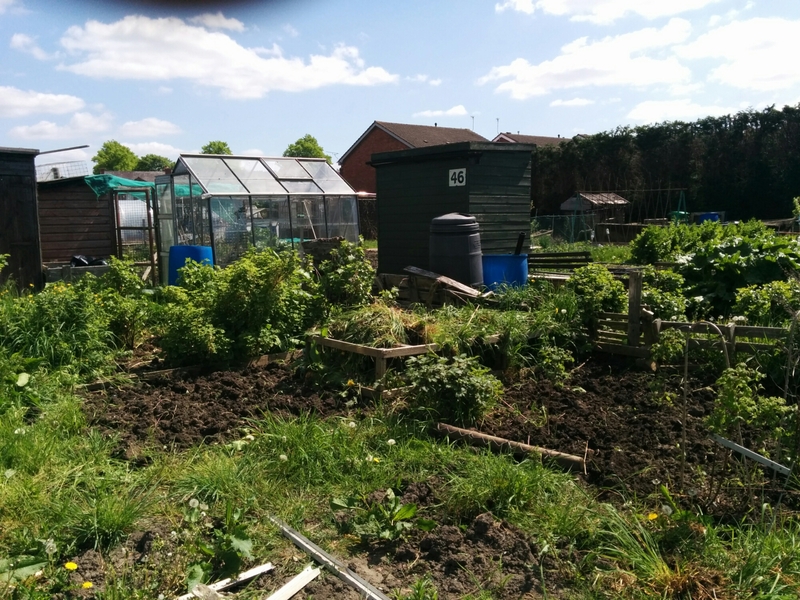 Today, in the glorious sunshine, we all went down to the allotment to tackle the bottom plot which is rapidly being overgrown by a never ending wall of weeds. Taking turns with the hot, grumpy baby, we managed to clear most of the weeds around the currant bushes and the husband tackled the mass of doc plants in front of the fruit bushes. Whilst the husband ran to the shop with the pram in the hope it would get the increasingly grumpy baby to sleep, I tackled the berry bed. 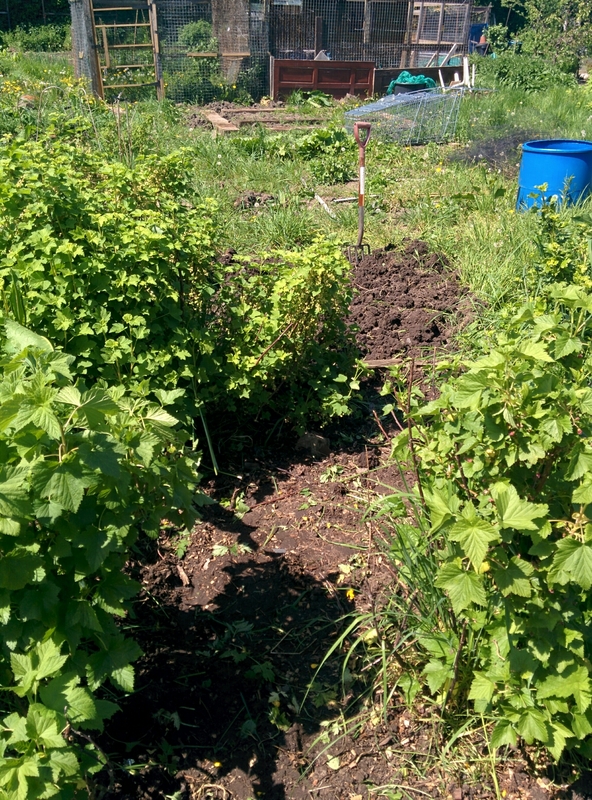 In a fairly short time, I managed to excavate some of the raspberry bushes and the blackberry bush from knee high grass tufts and never ending bind weed. 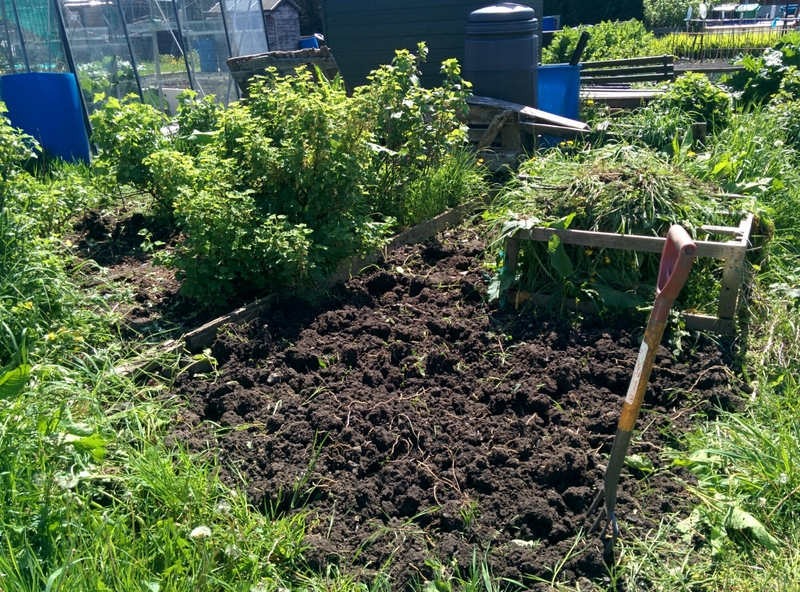 So we have managed to successfully clear a corner of the bottom plot – on Monday with the husband working at home (and being on baby duty! 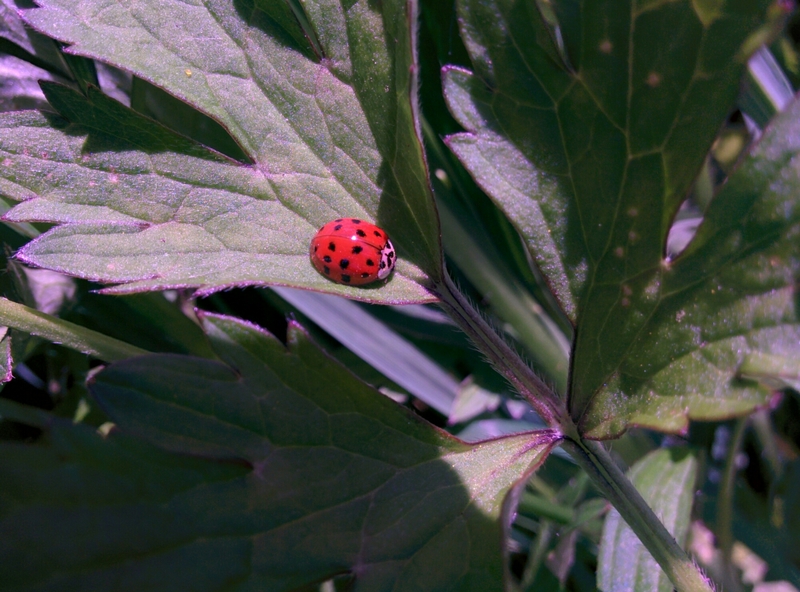 ), I plan to finish rescuing the berry bushes from the weeds. 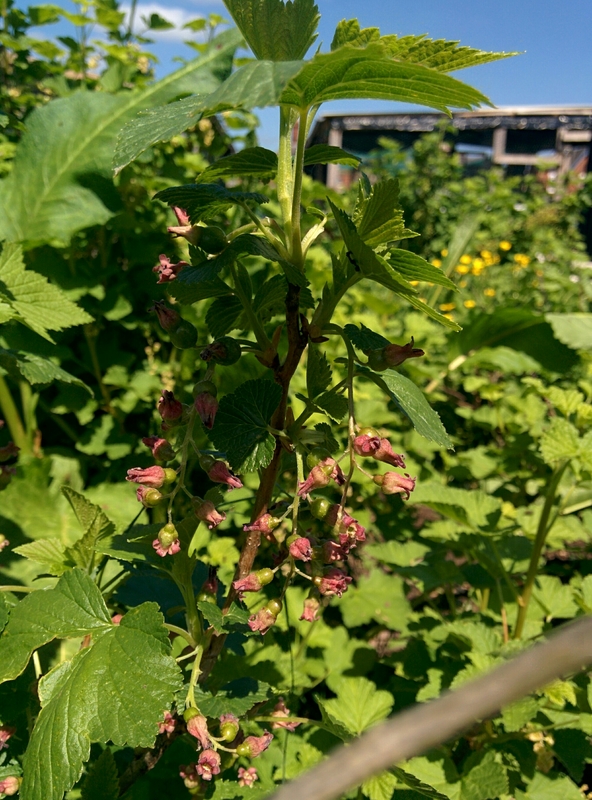 Due to the disorganised nature of the berry bed, I plan to fill in the gaps with replanted offshoots from our huge raspberry bush on the top plot. I just hope that the bad weather holds off so I can get this done! Thankfully, my long suffering friend Fiona has foolishly offered to help at the allotment for payment in fruit, vegetables and eggs. She is moving up in a couple of weeks so as long as we can contain the weeds enough, we will have an extra pair of hands! Good luck! My daughter gets grumpy at the allotment too, I’ve no idea why.